From an early age it is evident that children love nothing more than making a whole lot of noise with anything they can get their hands on. Far from being annoying, this should be viewed as the beautiful thing it really is – the beginnings of appreciation for music. Banging on pots and pans, clapping hands, and shouting non-sensical words at the top of their lungs are just some of the ways in which children are exploring and embracing the world of music. How does this however progress to getting your child to play an instrument? Read on for some tips about how best to approach this and enjoy helping your child choose which instrument or instruments they want to play. Unbeknownst to you, your child has probably already been exposed to lots of music, even before you have considered they should play an instrument. From bedtime nursery rhymes and church choirs, to the radio playing in the kitchen and mom singing in the shower, music is everywhere. Develop this interest in music by singing with your child and purposely playing music for them to bop around to. The earlier you introduce music to your child, the more familiar and expected it will become. 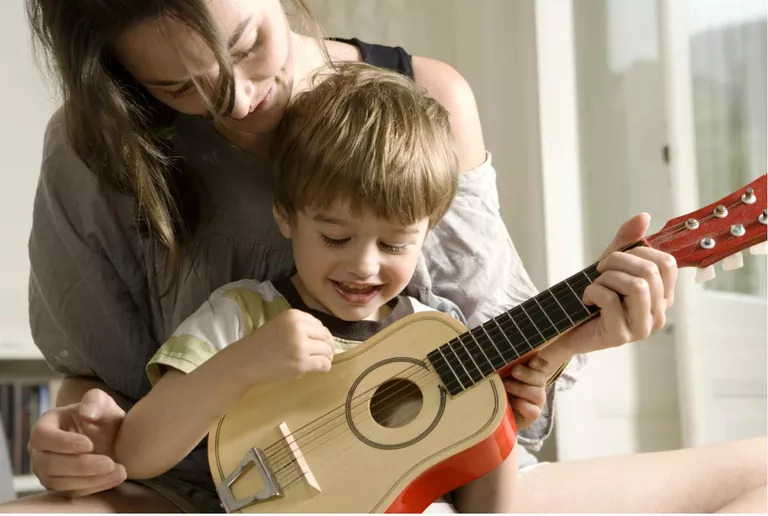 The benefits for your child are multiple, as explored by The Globe and Mail’s research into why music is key to your child’s development. Having musical instruments around the home, even toy ones is a wonderful way to get children interested in them, and with assorted options around they will have plenty of choice without feeling pressured to play a certain one. At this stage, it may be preferable to buy cheaper versions of musical instruments, so you child can be exposed to several different types. For example, an inexpensive digital piano or keyboard, would be cheaper than a new upright piano, and a second-hand guitar a more sensible purchase than a brand-new guitar. ​You also need to think about using beginner instruments so they're easier to handle. A beginner violin for example can help kids familiarize with the instrument before moving on to a different size. It can help to Read Online Reviews of musical instruments before spending anything to ensure you are getting the best value for money. Unless your child is enthusiastic about playing a musical instrument, don’t try to foist one on them just because you want them to. Trying to encourage your child is fine, of course. But if your child really isn’t that keen, then that is also okay. A particularly stubborn child may not want to attend lessons, or may not want to attempt to play any instrument at all, but be open to the fact that they may change their mind later. By creating an environment that has music and musical instruments readily available, you are making it easier for them to decide to learn in the future. Your child may be shy and to want to attend lessons alone, so why not consider joint music lessons where you can both enjoy learning to play an instrument together? An appreciation for music and musical instruments can be fun, educational, and confidence-building for children, no matter what instrument they choose to play.